As an outdoor enthusiast and adventurous spirit, capturing memories of all your amazing experiences can be difficult. There’s nothing quite like reliving those memories through video when you’re feeling bored or lonely. The HD Wide Angle Waterproof Action Cam will help you capture all of your action shots in all their glory. Plus, be sure to use the coupon code GETNEW to take an additional 12% off the already heavily discounted price. 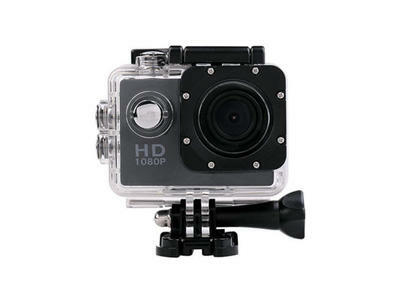 The HD Wide Angle Waterproof Action Cam is an amazing blend of quality and affordability. This tiny camera can capture amazing 1080p footage like never before. You have the option to film in loops or capture high-quality photos with the 12MP lens. What’s especially nice for outdoor enthusiasts is that this camera is designed to be jitter-free so that the camera isn’t too shaky even when you move. With wide-angle lens, you’ll be able to capture all of your glorious experiences. Best of all, the HD Wide Angle Waterproof Action Cam is waterproof. You can take pictures and capture videos up to 30 meters beneath the water surface! 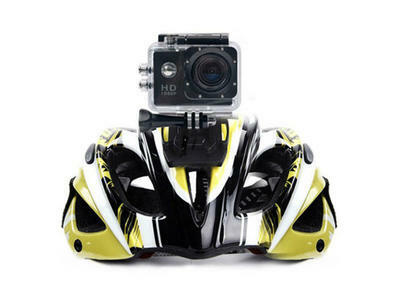 Mounts are included with the action camera. The HD Wide Angle Waterproof Action Cam was originally $43 at 71% off. For a limited time, you can use the coupon code GETNEW to take an additional 12% off this discounted price.